These books are not made for the web. They are made for you to hold in your hands. You can order hand-bound hardcopies of my graphic novels by contacting me here, or by sending an e-mail to suzanneclaessen@gmail.com. I send internationally, all across the globe. Displayed prices are in Euro and NZ Dollars, but apply to equivalents in other currencies. Shadow Costume was inspired by my mission to portray insects in a more positive light. I wanted to create a romance, a freak show, an introspective journey; I wanted to create a story about humans, while simultaneously showing how we are always intrinsically connected with other living beings – even if we’d rather think we weren’t! So, it’s about being human. It’s about being animal. The book was created as part of my Master’s degree in Creative Non-Fiction Writing (Science Communication). I hand painted the images with watercolours / ink and employed a playful hand lettering technique with pen and pencil. 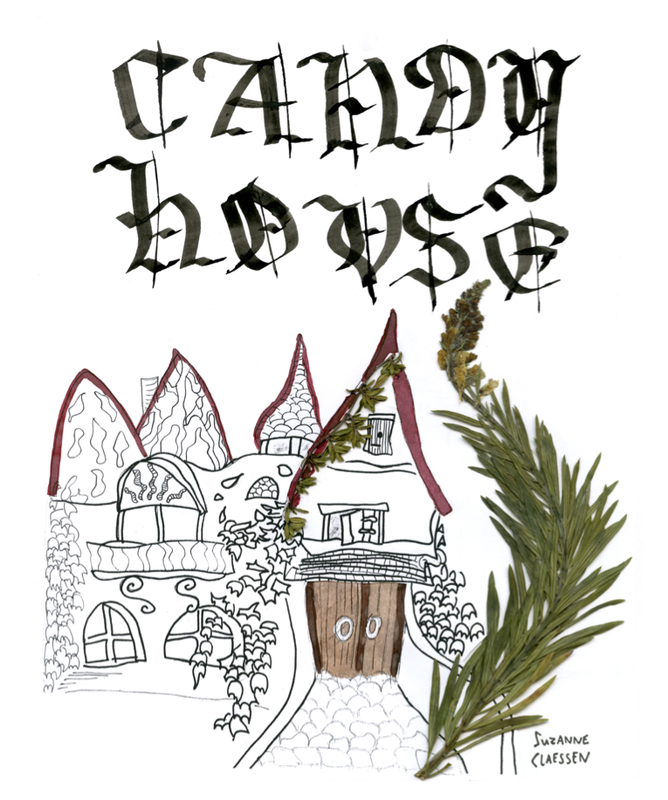 Candy House (below) was part of the same undertaking; in this book the line between human and insect is blurred.